b. 7 Nov. 1776, 3rd s. of Lt.-Col. Ralph Abercromby† (d. 1801) of Tullibody, Clackmannan and Mary Anne, da. and coh. of John Menzies of Ferntower in Crieff, Perth. educ. Edinburgh h.s. 1788; Christ Church, Oxf. 1794; L. Inn 1794, called 1800. m. 14 June 1802, Mary Anne, da. of Egerton Leigh of West Hall, High Leigh, Cheshire, 4s. (3 d.v.p.) 1da. d.v.p.1 cr. Bar. Dunfermline 7 June 1839. d. 17 Apr. 1858. Commr. of bankrupts 1801-27; PC 23 May 1827; judge adv.-gen. May 1827-Jan. 1828; c. bar. exch. [S] 1830-2; master of mint (with seat in cabinet) July-Dec. 1834; bencher, L. Inn 1835. Vol. London and Westminster light horse 1798-1800. Speaker of House of Commons 19 Feb. 1835-15 May 1839.
astonished at the temper and spirit of your present political feelings and how little I can reconcile them to the political characters of the two men whom you most respected on earth, your friend Horner and Romilly. ‘Severe laws or blows!’ Can you really doubt that any attempt at severe laws would end in blows the most terrible? a silent but virtual change in the constitution of the country ... He meant that sort of change by which ministers ceased to introduce great public measures on their own responsibility, but left them to be effected by committees of that House under the shelter of which they screened themselves. it will be strange if it does not end in some rupture. The bond of office is a strong one, and they will hang together if these great questions are not forced upon them. We shall see how it goes, but if the king wishes to effect a considerable though only a partial change things are shaping a course very favourable to that result. abolition of this system would prove an inestimable benefit: to the Catholic, by the removal of a galling principle of irritation; to the Protestant, by separating him from motives and imputations which could not fail to disunite him from the great body of his fellow countrymen. According to Williams Wynn, Abercromby was undecided on Brownlow’s motion about ex-officio informations in Ireland, 15 Apr. 1823.49 He pressed Goulburn on government’s promise to deal with the Orange lodges, 21 Apr., and voted for inquiry into the legal proceedings against the Dublin Orange rioters, 22 Apr.50 He was involved in the examination of witnesses in early May, and on the 8th he advised Barry not to proceed in a complaint of breach of privilege against an Irish newspaper. He divided for inquiry into the state of Ireland before the introduction of the insurrection bill, 12 May, and again raised the conduct of O’Grady, 16 May, 2 July. He expressed his support for the Irish tithes composition bill despite its faults, 16, 30 May, 6 June, but spoke and voted against its committal without the compulsory clause, 16 June. He suggested emigration as a possible means of alleviating the condition of the Irish poor, 23 June, supported the idea of a committee on the state of Ireland, 25 June, and the following day raised allegations about abuses in the administration of justice there.51 He divided for parliamentary reform, 24 Apr., and reform of the Scottish representative system, 2 June. On 24 Apr. 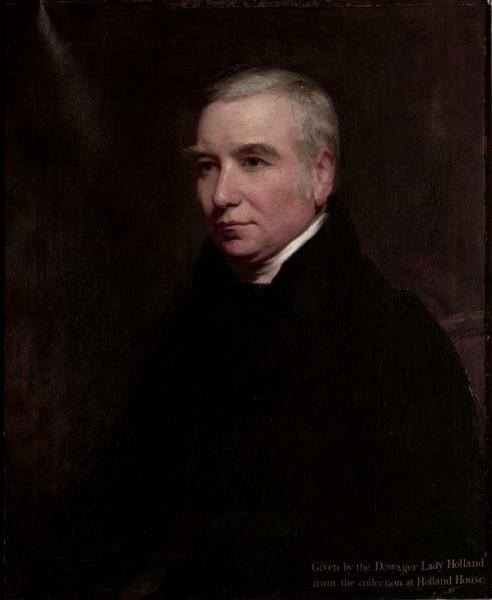 he delayed the presentation of the Edinburgh petition for alteration of its franchise, on which he had been consulted by Cockburn, until 5 May, when (as on 10 July) he promised to introduce a bill on this during the following session.52 Encouraged by Cockburn, Francis Jeffrey* and Edinburgh opinion in general, he finally reintroduced the Borthwick case for consideration, 3 June, when his motion condemning the lord advocate was narrowly defeated by 102-96. He was deemed to have done well, in a contentious matter, but the Scottish law officers were not induced to resign.53 He paired for the second reading of the Scottish juries bill, 20 June, and again emphasized his support for it, 30 June, when he was a teller for the majority on its third reading; he called for a review of the functioning of the Scottish courts, 10 July 1823. For the leading principle of the reform I contend for, is to produce such a gradual and wholesome change in the representation of the people, as to arrest all danger of the establishment of a republic. Those, indeed, may be truly called republicans, who, adhering to antiquated defects and modern corruptions, refuse to listen to the voice of a well informed people calling for a rational change and an easy remedy. 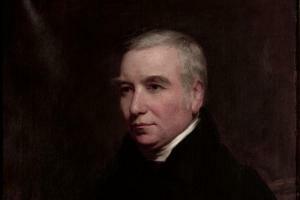 Having been named to the committee to prepare the relief bill that day, he attended the frequent meetings at Sir Francis Burdett’s* house on the matter. He criticized Dissenters for their opposition to the measure, 18 Apr., and condemned as inflammatory a spate of violently anti-Catholic petitions, 21 Apr. He divided in favour of the second and third readings of the relief bill, 21 Apr., 10 May 1825.
it was not an uncommon thing, but in this he spoke more from the reports of others than his own personal observation, to hear Members, when in committees upstairs, ask each other, ‘Which party do you support? For whom do you come here to vote?’ Now, this was a practice to which he should wish to see the whole weight of public opinion directed; but he thought public opinion alone could put it down. these are altogether the strangest times I have ever seen. There is a sort of doubt and uncertainty hanging over all the measures, and everybody is somehow more or less annoyed, from what you would judge, that a storm is to come, but nobody knows what part to take. I conceive the truth to be that the only friends that Canning and Huskisson have are a few of the Whigs. The Tories hate what they vote for, and their embarrassment is greatly increased by Peel being pledged to Huskisson’s measures. From habit I always expect that the Tories will trip up any ministry who attempt to act upon liberal policy, and yet it is very difficult to do it, unless the king should die and the duke of York not reign. Then it would turn upon Peel. a sort of little bloodless revolution. The political power of the state has passed from the landed aristocracy, the natural supporters, into the hands of the Catholic priests, the natural enemies of the government. This would be strange in any country, but in this, where there is no middling class to steady the vessel, the purport is not a little awful. the government feel oppressed by difficulties and that they assume a tone of unusual conciliation, betraying a conviction that the measures to be taken are such as will require all the support they can get. It is true that the utter destruction of the ordinary laws of party on both sides makes this policy both obvious and indeed necessary. impression made upon the Tories by their success was that of apprehension and uneasiness. They found that an administration so divided on a vital domestic question could no longer be kept together, that without the aid of Mr. Canning they could not go on, having only a majority of four in the largest attendance of Members [276-272]. They foresaw that things could not remain in Ireland as they were, and they were unprepared with any measures on which they could appeal to the public for support. However, he feared that Canning’s hint that nothing would be immediately forthcoming had ‘seemed to quiet the apprehensions of the Tories’.83 In the House, he condemned its decision, 19 Mar., saying that it would further demoralize Ireland, where education should be improved to raise the country ‘from her low and helpless condition’. He supported inquiry into chancery administration, 27 Feb., and asked for the chancery court bill to be postponed until after the circuits, 23 Mar. He voted for a lower price of corn imports, 9 Mar., the production of information on the Orange procession and Lisburn magistrates, 29 Mar., and to postpone the committee of supply, 30 Mar. He informed Brougham, 4 Apr., that if a division took place on Sir Thomas Lethbridge’s motion for an address to the king on the treatment of the Commons on the formation of the new ministry, ‘I do not see how I would vote against a principle to which I attach so much importance’; but, as he predicted, it came to nothing.84 He was granted a fortnight’s leave on urgent private business, 5 Apr. 1827.
the Tories are broken far more effectually than if they had been routed in open battle. The young ones will attach themselves to Canning; they will be liberalized, and so we shall have a portion of the rank and property in the state taught to adapt themselves in a greater degree to the spirit of the age. I have never seen anything that makes me think so ill of the real principles of politicians and of the aristocracy as their aptitude to succumb before the duke and his generals. Active opposition is one thing, and acquiescence almost amounting to confidence is another. ministers have some plan under consideration, for if the vote of the Commons is favourable, they must be prepared with their measure ... If the Commons vote for it, and the measure is passed by the duke and Peel, who are the only people of any name in the government, then it discovers to the people the secret of their strength. It is in fact the result of Irish agitation backed by the power of the liberal party in England. If carried by friends it might have been supposed that its success was owing to the power of a friendly government. But forced upon enemies it places the power of the people on high ground. The crown has the patronage and the people have the real power ... The only safety is in the education of the people, for as power is fast falling into their hands, it is fit that they should be made as capable as can be to use it well. I am fully aware of the misconstruction which the proceeding is exposed to; and God knows all we, and all liberal men in Edinburgh, prize every opportunity of attesting our gratitude to Abercromby and our confidence in him; and we are perfectly alive to the expediency and duty of un-Derbyshiring him, and keeping up our invaluable connection. But he will be the first to own that there is a higher duty - to the cause; and I am satisfied that in this instance, we have strengthened the influence, by strengthening the right cause here, though the management has required momentary abatement of the system of making him our leader. I was very little moved by the news. I have felt so much pain from seeing Lord Grey hold office without honour, that I sincerely rejoice that he is relieved from so discreditable a position. I have never had any expectation that peers would be made, as they had not been made before the second reading. What is to become of the country becomes a very serious question ... A long struggle is upon us, and that is no pleasant prospect. Peel would be the best minister, but will he consent to replay the Catholic game over again - recant all his opinions for office? ... Nothing can be more truly mortifying than the circumstances under which I go back to Scotland, for life probably, to vegetate and to die. 1. NLS mss 12851, ff. 61, 64. 2. Lord Dunfermline, Sir Ralph Abercromby, 13-15; C.D. Abercromby, Fam. of Abercromby; Oxford DNB. 3. Black Bk. (1820), 425; O’Connell Corresp. iii. 1172; HP Commons, 1790-1820, iii. 11-15. 4. Berry Jnls. iii. 309; Howard Sisters, 148-9; Session of Parl. 1825, p. 447; [J. Grant], Random Recollections of Commons (1837), 87-88. 5. Warws. RO MI 247, Philips’s Mems. i. 311-12. 6. Ibid. i. 312; Chatsworth mss, Abercromby to Devonshire, 6, 11 Jan. 1820; F.M.L. Thompson, English Landed Society in 19th Cent. (1971), 167; L.J. Proudfoot, Urban Patronage and Social Authority, 215. 8. NLS mss 24770, f. 1. 9. Ibid. ; Add. 52444, f. 112. 10. NLS mss 5319, f. 195. 11. The Times, 26 May 1820. 12. Ibid. 6 Mar. 1821. 13. Ibid. 13 July 1820. 14. Castle Howard mss, Devonshire to Lady Morpeth, 9 Jan. 1821; Brougham mss, Abercromby to Brougham, 26 Mar. 1823; Chatsworth mss 477, 494, 495, 573. 15. Creevey Pprs. ii. 2; Grey mss, Tierney to Grey, 13 Jan.; Add. 51574, Abercromby to Holland [26 Jan. 1821]; Castle Howard mss. 16. The Times, 31 Mar. 1821. 17. NLS acc. 10655, Abercromby’s pol. mem. bk. 1819-46. 18. The Times, 3 Mar., 3, 18 Apr. 1821. 19. Ibid. 5, 8, 16 June 1821. 20. HLRO, Hist. Coll. 379, Grey Bennet diary, 108. 21. Add. 51574, Abercromby to Holland [Dec. 1821]; Buckingham, Mems. Geo. IV, i. 281. 22. Chatsworth mss 598, 599. 23. NLW, Coedymaen mss 621. 24. The Times, 19 Feb. 1822. 25. Ibid. 8 Feb., 1, 9, 14 Mar. 1822; Cockburn Mems. 367. 26. Chatsworth mss 623; Lansdowne mss, Donoughmore to Abercromby, 31 Mar. 1822. 27. The Times, 30 Mar., 3 Apr. 1822; Add. 52447, f. 75. 28. The Times, 1, 31 May 1822. 29. Creevey Pprs. ii. 37. 30. The Times, 8 June 1822. 31. Life of Wilberforce, v. 129-30; Dorset RO D/BKL, Bankes jnl. ; Northants. RO, Agar Ellis diary. 32. The Times, 27, 29 June, 9, 19 July, 1 Aug. 1822. 34. Ibid. 63-64; The Times, 9, 10, 13 July; CJ, lxxvii. 414; Fox Jnl. 133; Althorp Letters, 118; Arbuthnot Jnl. i. 172; Add. 51679, Russell to Lady Holland [July]; 75940, Althorp to Lady Spencer, 14 July 1822. 35. CJ, lxxvii. 423, 432-3, 1220-1; Fox Jnl. 134; NLS mss 3895, f. 28; Arbuthnot Jnl. i. 172-3. 36. The Times, 23, 24 July 1822. 37. Chatsworth mss 664; Castle Howard mss. 39. Bessborough mss, Abercromby to Duncannon, 14 Oct. 1822. 40. Add. 51574, Abercromby to Holland, 27 Dec. 1822. 42. Add. 51574, Abercromby to Holland [21 Jan. 1823]. 43. The Times, 12 Feb. 1823. 45. Bessborough mss, Grey to Duncannon, 2 Mar. ; The Times, 1, 4 Mar. 1823. 46. Agar Ellis diary; Add. 51667. 47. Bessborough mss, Brougham to Duncannon, 2 Mar. 1823. 50. The Times, 22 Apr. 1823. 51. Ibid. 24 June 1823. 52. Ibid. 25 Apr., 11 July 1823; NLS mss 24749, f. 28. 53. Cockburn Letters, 71, 86; NLS mss 24749, f. 30; 24761, f. 3. 55. NLS mss 24770, f. 4. 56. Twiss, Eldon, ii. 490-502; Buckingham, ii. 53, 54; Life of Wilberforce, v. 214; Arbuthnot Jnl. i. 291-2; Agar Ellis diary; Add. 51668, Bedford to Lady Holland, 7 Mar. 1824; Cockburn Letters, 112-13. 57. The Times, 1 June 1824. 58. Add. 51574, Abercromby to Holland [Nov. 1823, Sept.], 1 Oct. 1824; Chatsworth mss 1008, 1017, 1020. 59. Add. 51659, Whishaw to Lady Holland, 9, 10 Nov.; 51579, Morpeth to same, 13 Nov., 16 Dec.; 51654, Mackintosh to same, 16 Nov. 1824; Chatsworth mss 1078. 60. Lady Holland to Son, 36. 61. Agar Ellis diary; Add. 30124, f. 133. 63. Add. 40373, f. 187. 66. The Times, 30 June, 1 July 1825. 67. Castle Howard mss, Abercromby to Morpeth, 24 June, 5 July, 20 Aug.; Brougham mss, Smith to Brougham, 6 Sept.; Add. 51679, Russell to Lady Holland, 28 Nov. 1825. 68. Castle Howard mss, Abercromby to Carlisle [Nov.], 6 Dec.; BL, Althorp mss, to Althorp, 5 Dec. 1825, 14 Jan. 1826. 69. Fitzwilliam mss 124/8, Althorp to Milton, 11 Feb.; Castle Howard mss, Abercromby to Carlisle, 15 Feb.; Add. 51574, to Holland, 16 Feb. 1826. 70. The Times, 28 Feb., 16 Mar. 1826. 71. Creevey mss, Creevey to Miss Ord, 2 May 1826. 72. Nottingham Univ. Lib. Ossington mss, Denison diary, 14, 19 May 1826. 74. Devizes Gazette, 13, 27 Apr., 15 June; Brougham mss, Abercromby to Brougham [6 June]; Lansdowne mss, to Lansdowne [7, 8 June] 1826. 75. Baring Jnls. i. 47. 76. Brougham mss, Abercromby to Brougham 12, 23 July; Bessborough mss, to Duncannon, 1 Oct.; Add. 51574, to Holland, 12 Oct.; Agar Ellis diary, 19 Nov. 1826. 78. Agar Ellis diary, 24 Nov. 1826. 80. Add. 51784, Holland to Fox, 21 Feb. 1827. 82. Add. 38749, ff. 108, 110; Canning’s Ministry, 22. 85. Canning’s Ministry, 28, 31. 89. Canning’s Ministry, 164, 185, 186, 213; Add. 30110, f. 335; 51574, Abercromby to Holland, 21 Apr. ; Blair Adam mss (History of Parliament Aspinall transcripts), W.G. to W. Adam, 22 Apr. 1827; Chatsworth mss 1470, 1477, 1478. 91. Ibid. 155; Chatsworth mss 1508. 92. Canning’s Ministry, 241; Add. 51655, Mackintosh to Lady Holland, 1 June 1827; 52447, f. 107. 93. NLS acc. 10655; Canning’s Ministry, 213, 265; Lansdowne mss, Macdonald to Lansdowne, 30 Apr. 1827. 94. NLS acc. 10655; NLS mss 14441, f. 20; 25749, f. 35; Cockburn Letters, 156, 163, 166-7. 95. NLS acc. 10655; Mem. of Public Life of Herries, i. 127. 96. Canning’s Ministry, 268, 305; Add. 52447, f. 106. 97. Devizes Gazette, 31 May 1827. 98. Add. 52447, f. 70. 99. Canning’s Ministry, 338, 366, 369; Chatsworth mss; Add. 51562, Brougham to Holland [?11 Aug.]; 51574, Abercromby to Lady Holland [Aug. 1827]. 100. Add. 38750, f. 95. 101. Lansdowne mss, Brougham to Abercromby [?24 Aug.], Abercromby to Lansdowne [?25, ?27 Aug., Sept., ?4], 5 Sept. 1827; Add. 38750, f. 243. 102. Ibid. Abercromby to Lansdowne [Sept., ?4 Sept. 1827]; Chatsworth mss 1577. 103. Agar Ellis diary, 31 Aug., 1 Sept.; Castle Howard mss, Abercromby to Carlisle [Sept., Sept.,?8 Sept., Oct.], 14 Oct. 1827. 104. NLS mss 24760, f. 47. 105. Add. 38751, f. 9; 52447, f. 128; Chatsworth mss 1617; NLS mss 11800, ff. 16, 23, 26, 41, 57, 61; 24758, f. 32. 106. NLS mss 24747, f. 1; 24749, f. 39; Grey mss B10/18/15; Castle Howard mss, Lady Carlisle to Morpeth , 29 Dec., Abercromby to Carlisle, 25 Dec. 1827. 107. NLS acc. 10655; Agar Ellis diary, 12 Jan. 1828. 108. Creevey Pprs. ii. 148; Keele Univ. Lib. Sneyd mss SC10/83. 109. Moore Jnl. iii. 1256. 111. Derby Mercury, 5 Nov. 1828; J. M. Bestall, Hist. Chesterfield, iii. 108, 119; Three Diaries, 372. 112. Castle Howard mss, Abercromby to Carlisle [19 Feb. 1828]. 113. Ibid. 17 May 1828. 114. NLS mss 24749, f. 42. 115. Castle Howard mss, Abercromby to Carlisle, 18 June, 5 July, 5 Sept. [?Oct. ]; Brougham mss, to Brougham, 13 July, 6 Oct.; Duke Univ. Lib. Fazakerley mss, to Fazakerley [?May], 7 July, 16 Oct. 1828; Chatsworth mss 1691. 116. Fazakerley mss; Hatherton mss. 117. Add. 51574; Brougham mss, Abercromby to Brougham, 28 Dec. 1828. 120. Add. 51574, Abercromby to Holland, 19, 26 Nov., 28 Dec. 1828 [4, 5], 15, 20 Jan. 1829; Brougham mss, to Brougham, 27 Dec. 1828, 1, 12 Jan.; Lansdowne mss, to Lansdowne, 21 Jan. 1829; NLS mss 24748, f. 76; 24770, f. 29. 121. Western Times, 17 Jan. 1829. 122. Add. 51574, Abercromby to Holland [Mar., Apr. ]; Brougham mss, to Brougham [c.16, 31 Mar. 1829]. 123. Cockburn Letters, 210, 212-13, 221-2. 124. Arbuthnot Jnl. ii. 286, 290, 293; Ellenborough Diary, ii. 60. 128. Add. 51574, Abercromby to Holland, 20 Dec. 1829; Brougham mss, to Brougham [Jan. 1830]; NLS mss 24770, f. 39. 129. Add. 51575, Abercromby to Holland, 3 Feb.; Chatsworth mss, to Devonshire, 3 Feb.; Bessborough mss, to Duncannon, 16 Feb. 1830; Wellington mss WP1/1097/3; NLS acc. 10655; Cockburn Mems. 434. 130. Add. 51785; Arbuthnot Jnl. ii. 329-30. 131. Scotsman, 10 Feb.; Stair mss (History of Parliament Aspinall transcripts), Dalrymple to Murray, 10 Feb. 1830; Life and Letters of Rickman ed. O. Williams, 307. 132. Ellenborough Diary, ii. 191; Lonsdale mss, Lowther to Lonsdale, 6 Feb. 1830; Brougham, Life and Times, iii. 34-35. 133. Unrepentant Tory ed. R.A. Gaunt, 103. 134. Lady Holland to Son, 108. 135. Castle Howard mss, Abercromby to Lady Carlisle, 10 July; Brougham mss, to J. Brougham [28 July 1830]. 136. Lansdowne mss, Abercromby to Lansdowne, 17 Aug.; Add. 51575, to Holland, n.d., 9, 13 July, 19 Aug. 1830. 137. Chatsworth mss 2090; Add. 51575, Abercromby to Holland, 19 Nov.; Brougham mss, to Brougham [c. 18 Nov.], to J. Brougham [c. 18, c. 20 Nov.] 1830. 139. Castle Howard mss, Abercromby to Carlisle, 30 Dec. .
140. Brougham mss, Abercromby to J. Brougham, 27 Feb.; Grey mss, to Grey, 6 June 1831. 141. Lansdowne mss; Add. 52182, Abercromby to Allen [Mar.] 1831; Chatsworth mss 2091, 2092. 143. NLS mss 13172, f. 22. 144. Brougham mss, Abercromby to Brougham [?Mar. ], 12, 29 May 1831. 145. Holland House Diaries, 5-6. 150. Add. 40403, f. 7; 51575, Abercromby to Jeffrey, 12 Apr. 1832. 151. NLS mss 13172, ff. 9, 32. 152. NLS mss 13173, f. 1; Chatsworth mss 2217; Althorp mss, Brougham to Althorp [11 May]; Brougham mss, Abercromby to Brougham, 12 May 1831. 153. PP (1831-2), v. 121-34, 149-55; NLS mss 23220, ff. 66, 67, 69; 23221, ff. 196-21, 218, 228, 231, 263; Brougham mss, Abercromby to Brougham [1831-2]. 154. Holland House Diaries, 190, 192; Add. 51575. 155. Add. 51578, Carlisle to Holland, 21 Aug., 28 Oct. 1832. 156. Brougham, Life and Times, iii. 230. 157. Cockburn, Jeffrey, i. 338-9; Cockburn Letters, 175, 411, 418-19; Add. 51575, Abercromby to Holland, 28 May; Edinburgh Evening Courant, 30 June, 9 July, 2, 4, 11 Aug. 1832; NLS acc. 10655. 158. Edinburgh Evening Courant, 10, 13, 20, 22 Dec. 1832. 160. Hatherton diary, 15 Oct., 17 Nov. 1831; Add. 51724, Althorp to Lady Holland, 25 Nov. 1832; 51578, Carlisle to Holland, 1 Jan. 1833; Chatsworth mss 2697. 162. Add. 51680, Russell to Lady Holland [2 Dec.] 1832; Lady Holland to Son, 149, 181. 163. J.A. Manning, Lives of Speakers, 489-93; A.I. Dasent, Speakers of House of Commons, 316-19; The Times, 23 Apr. 1858; DNB; Oxford DNB. 164. Letters of Dr. John Brown ed. J. Brown and D.W. Forrest, 119-20. 165. The Times, 17 Oct. 1868.